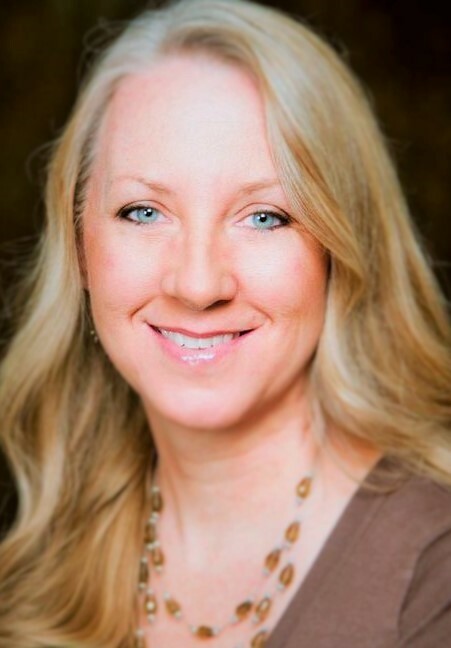 Michele Morris here, and today I’d like to share a little about the American inventor, Samuel Colt. For hundreds of years, firearms were only capable of delivering a single round. After the bullet was expelled, the shooter would have to take the time to reload before he could fire again. The delay of reloading might not be bad during target practice, but imagine if you were facing a charging bear or an enemy during a battle. The time it took to reload your gun could be the difference between life and death. For you or your family. Since his childhood, Samuel Colt (b. 1814 - d. 1862) had an interest in mechanics. He would often disassemble items to see how they worked, including his father’s firearms. At the age of sixteen, Samuel Colt took a trip on the ship Corvo. He studied how the wheel of the ship operated. The burgeoning inventor analyzed how the wheel's spokes were aligned with a clutch that could lock them into place at any time. And, voilà, the Colt revolver was born. Or at least, the concept of a multi-firing mechanism. It was from that early idea that Samuel carved out a wooden prototype which would eventually lead to the development of a rotation-type, six-barrel cylinder pistol. In 1836, Samuel Colt received a U.S. patent for his invention and received high praise from President Andrew Jackson for his ingenuity and forward thinking. 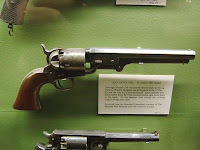 Samuel Colt’s first commercial revolver was called the Colt Paterson. Although it was relatively easy to use, it had one major flaw . . . Users had to partially disassemble the gun to reload. Colt continued to improve his design while he founded a company to manufacture his revolving-cylinder pistol. But sales were dismal, and Samuel's business soon went bankrupt. 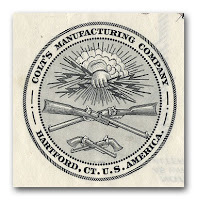 The inception of the Mexican/American war renewed interest in Colt’s six-shooter. Together, Samuel Colt and Army Captain Samuel H. Walker designed The Colt Walker, a much more efficient revolver to load and fire. This newly designed gun prompted the government to order 1,000 units. Colt was back in business. Colt firearms became the most used gun during the American Civil War, and then in 1873, the company introduced the .45-caliber Colt Peacemaker. 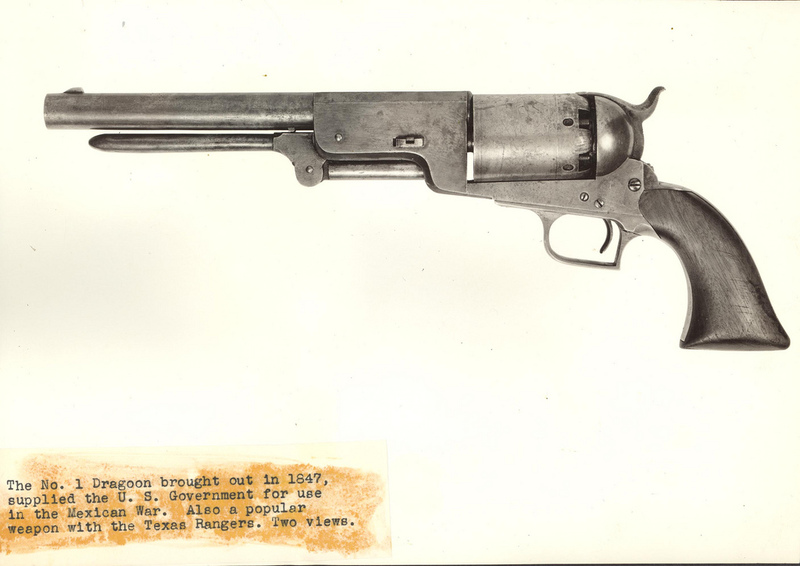 This gun quickly became the weapon of choice in the Wild West. Samuel Colt died January 10, 1862, at the age of 47. His estate was reportedly worth fifteen million dollars. 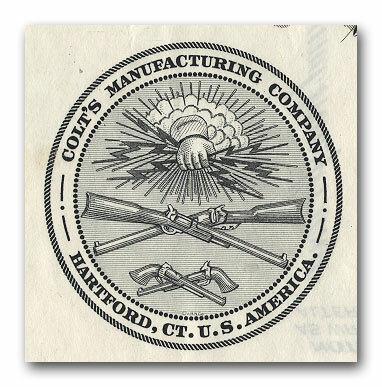 Samuel’s family sold the company to investors in 1901, and Colt's Manufacturing Company is still in business today. The imagination and resilience of Samuel Colt embraces what America has been since its history began. Hard work, forward thinking, and a never-give-up attitude is the hallmark of American historical figures. Is there anyone from American history that you admire for their industrialism? Would you share in the comments who that might be? I enjoyed reading this, Michele, especially because there's a Colt in my family tree. My ancestor was born in the same area of Connecticut where Samuel and his family lived, but I haven't found the exact link yet. I suspect Samuel's ancestors were loosely related to mine. That's so interesting, Rebecca! Knowing about my ancestors gives me such s sense of belonging. I hope you're soon able to connect the dots of your family's history.